The pet information sheet supplied here is one of the attachments mentioned in both the Pet Sitting Contract and Dog Walking Contract and form part of both agreements. Your service may well include both pet sitting and dog walking. You can combine the two small business forms mentioned above or complete them separately although many of the provisions are common to both agreements. NOTE: If an agreement is entered into for an extended period of time, the statement by the owner that the vaccinations are current may not be true at a future date. The pet sitter or dog walker should ask for copies of vaccination certificates and keep them on record. 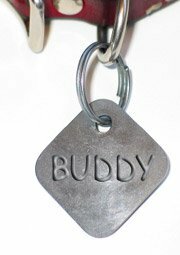 A separate pet information sheet must be completed for every pet that will be cared for. Notable Medical Information, Allergies, Phobias etc. I, the owner of the above listed pet warrant that the information contained herein is true and correct to the best of my knowledge. Note to pet owners: Although the law in your jurisdiction may only list certain vaccinations as compulsory (e.g. rabies), the pet sitter may also insist on proof of a DHLPP shot, Bordatella (kennel cough), various Feline vaccinations etc. 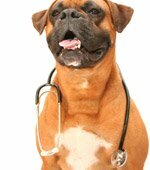 Any person providing a pet sitting or dog walking service must familiarize himself/herself with relevant health care requirements for pets.